SIR1 eXtreme Car Handle with wireless charger black 10W quick charger, box version. 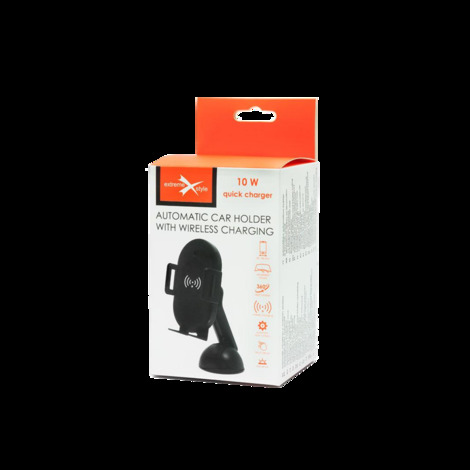 The eXtreme holder model SIR2 is an automatic holder with a built-in wireless charger. The holder has been adapted for mounting on the windshield or dashboard and designed in such a way as to guarantee full safety of the equipment placed on it. All you have to do is put the phone down on it and the jaws will close automatically, optimally squeezing the phone. To remove the phone, touch the sensor located on the top of the holder, the arms will open automatically. Built-in power bank allows you to open the holder even after you turn the engine off and power off.